The referendum to decide whether the UK stays in the European Union or leaves is one of the most important events for decades, an event which could have a profound effect on the future of this country, Europe and the world beyond. So what does the Bible tell us about this? First of all, what happens will fulfil Bible prophecies. You may be surprised to read that Bible prophecies are not only about the past, but also about the present. 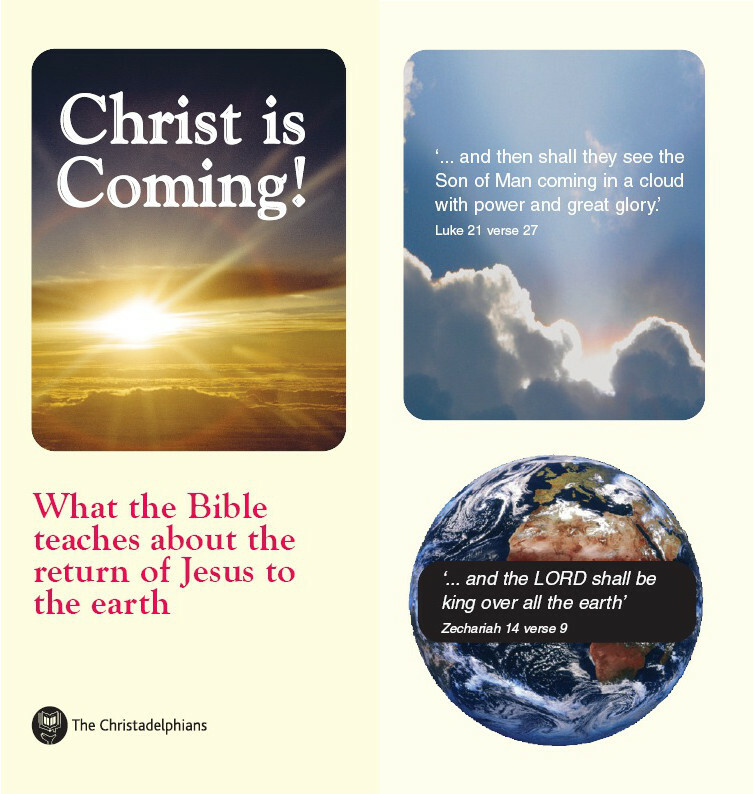 They tell us about God’s plans for individual nations and for the world at large, and these Bible prophecies have a very good track record – God always keeps His word! For example, in Ezekiel’s prophecy chapters 26,27 & 28 there is a detailed prophecy about how Tyre, the fabulously rich city-state whose merchant sailors ruled the Mediterranean Sea, would be attacked, first by the Babylonians soon after the time of Ezekiel and later by the Greek Alexander the Great, who would finally destroy the city completely. The record of how this was all fulfilled makes fascinating reading and you can still visit the ruins today! It shows that the Bible is no ordinary book, but the inspired word of God. Secondly, the European Union will not last. 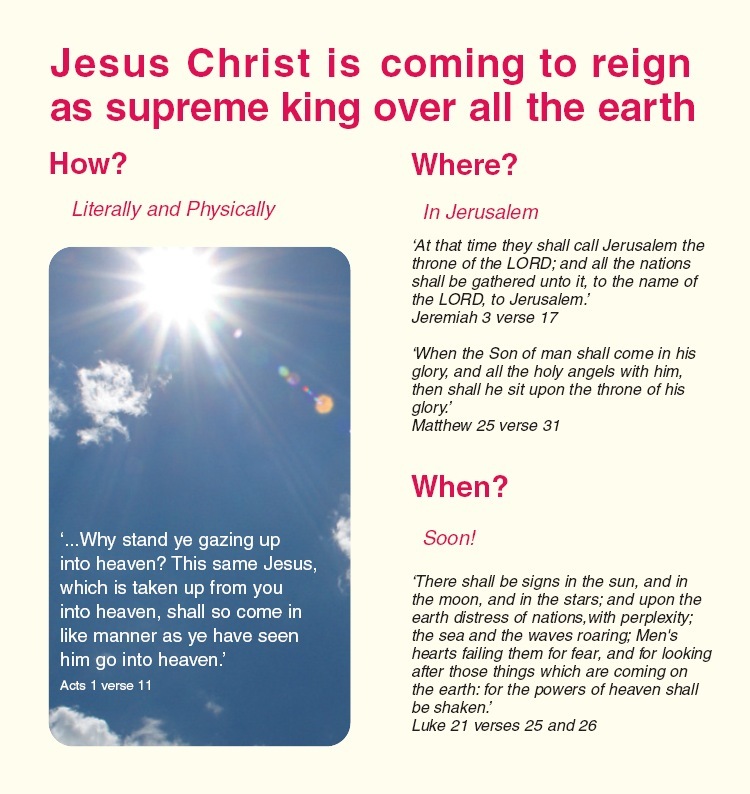 The Bible tells us that Jesus Christ is coming back to the earth to replace the current rulers as God’s King ruling from Jerusalem. When that happens other rulers, many of whom the Bible says will oppose Jesus, will be deposed. 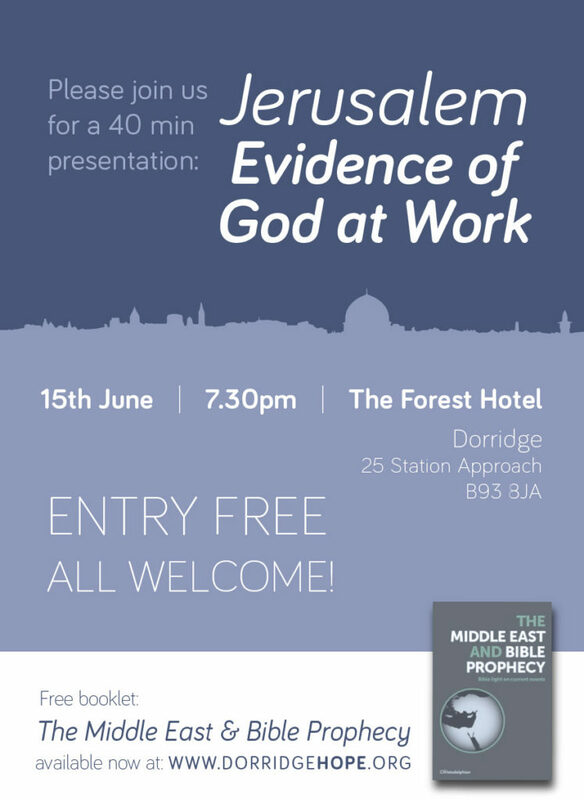 Another exciting prophecy in Daniel 2 tells of a succession of empires, Babylonian, Persian, Greek and Roman – which were represented by a huge frightening image. This image had a weakness; its feet were part iron and part clay and it was struck by a stone and destroyed by the coming of Jesus. It may be that the European Union is the last hurrah of these human empires! Whatever the outcome of the referendum, God’s plan will be fulfilled, so find out more now by reading the Bible! This entry was posted in Prophecy, The Bible, World Events on June 19, 2016 by admin. 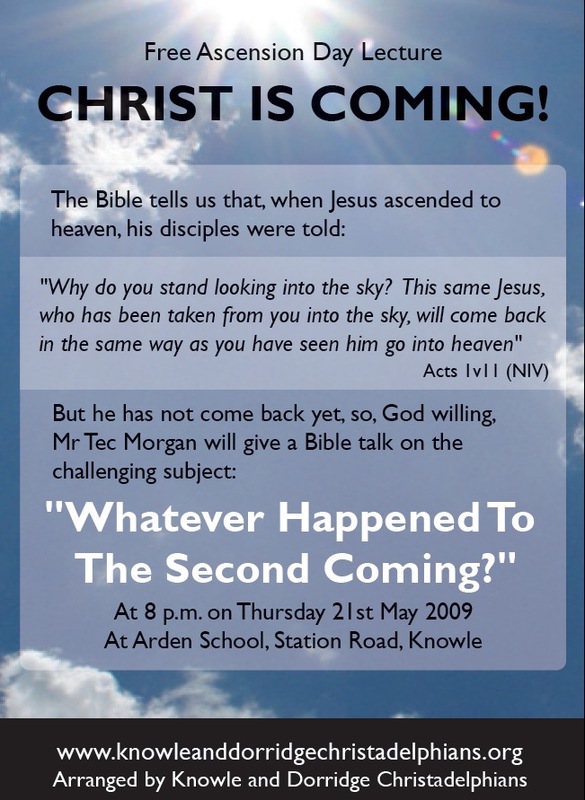 This entry was posted in Christ's Return, Our Events, Our Preaching, Prophecy on May 1, 2009 by admin.